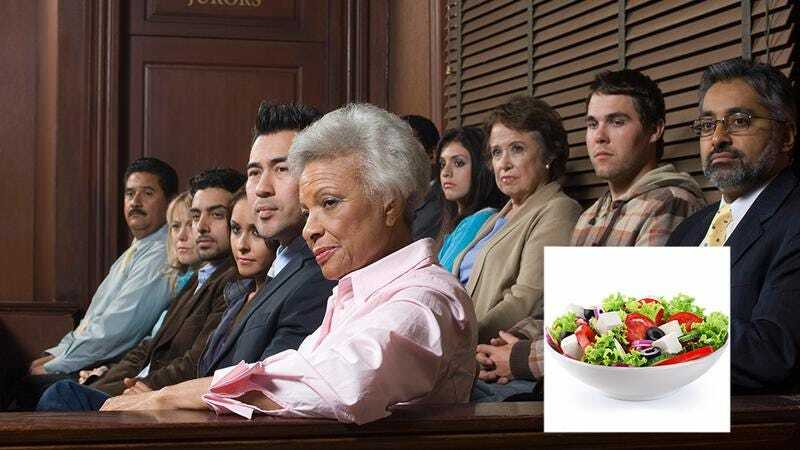 Are You Impartial Enough About Salad To Be A Juror On A Case That Heavily Involves Salad? Federal law guarantees the accused the right to a fair and impartial trial. To ensure that you are fit to serve on the jury of the present case, which directly concerns salad, we ask that you answer the following questions assessing your impartiality regarding salad.